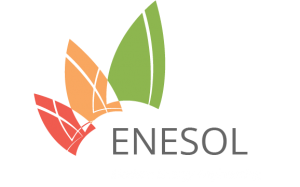 As experienced renewable energy industry pioneers, ENESOL can offer you a wide range of services to suit your needs, from technical design, commercial analysis and project management to specific elements of our large service suite. Tailored to your specific needs. At ENESOL we pride ourselves in partnering with our customers to create synergy in order to deliver best practice solutions and win-win outcomes. Our Service Offering ranges across all Project Phases for Solar Systems and PV Farms, Grid Connect and Offgrid Systems, Wind and other Renewable Energy Systems, Microgrids and Hybrid Power Stations. Be it planning, engineering, sizing, design, support with grid connection processes, writing of tender specifications, quote and proposal evaluation, tender response creation, installation management, owners engineer, performance assessments or fault analysis. You can be assured of professional, independent services from experienced professionals. AT ENESOL, our aim is to work alongside our clients in a supportive way to fulfil the project requirements, creating a sense of collaboration and therefore mutual benefit and satisfaction for all involved. We manage our operations in a friendly, open and cooperative manner that instils trust and confidence. Whether the size is 5kW, 500kW or 50MW, we have done it before. You can trust that your business and personal matters will be handled in the most professional and confidential manner with integrity, honesty and a friendly, cooperative approach. We take great pride in providing you with an accurate and effective end result to your satisfaction.